A nice surprise! 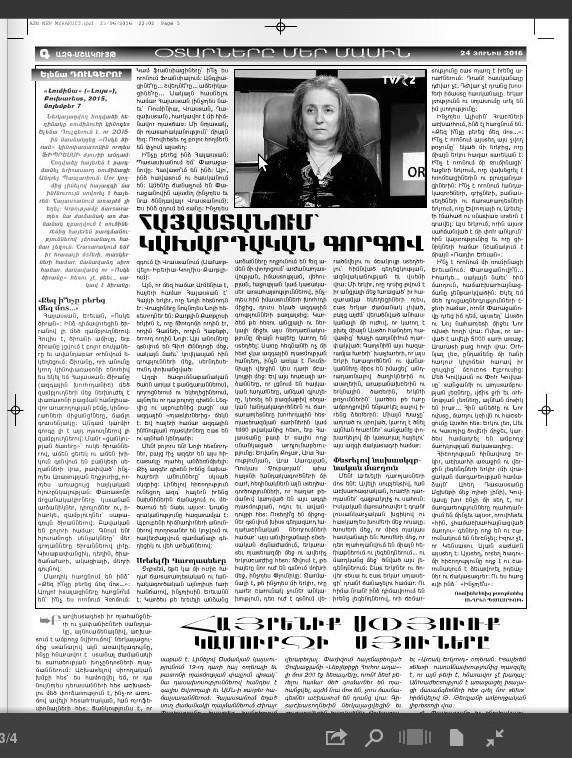 My report about my 2015 journey to Armenia and ”Golden Apricot” Film Festival, originally published in Ziarul Lumina / November 7, 2015, (entitled ”Cu covorul fermecat prin Armenia” /”Ce vânt te aduce la noi?”) has been translated into Armenian and published in the Armenian newspaper AZG Daily/23.06.2016. I express my gratitude to the two translators, Andrei Paslariu and Artsvi Bakhchinyan.